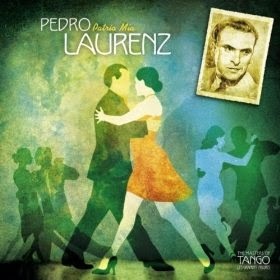 My Tango Diaries: Dancing the Note - Laurenz "Alma de Bohemio"
Dancing the Note - Laurenz "Alma de Bohemio"
Backstory: I have a frustrating problem with some tango songs. I love them so much, and feel so strongly about how I want to express them, that I am frustrated at my body's inability to express it the way I feel it. Laurenz' "Alma de Bohemio" is one of those songs. Even though I love this song so much, I know it causes some dancers just a small amount of anxiety. The vocalist, Alberto Podestá, carries one soulful note for so long, almost 12 seconds, it can feel like tan eternity between beats. For one long moment, there is no beat, just that strong, clear voice. What do you do with that? You can try to hold the position you're in, if you managed to be ready and stable when the note started - - otherwise you are forced take a step, mid-note, where there is no beat. It used to feel absolutely maddening to me - moving during the note didn't feel right, but neither did simply stopping. And my breath always catches while he sings that note, I don't know why. During the milonga . . .
Part way through the tanda, Alma de Bohemio started and I felt that familiar mix of excitement and anxiety. I tried to put aside everything but my enjoyment of the music and that magnificent voice. As the phrase with that one incredible note started, I could feel my partner's body prepare, almost coiling. A deep breath and the note began, and we both suspended, still moving but oh so slowly, not stepping, almost floating above the note. As the note dropped and ended, my partner slowly exhaled and uncoiled, stepping finally as if landing from a long glide through the air. So that's how to dance that note. One demonstration that I particularly like, is the one below (with John Miller and Iona Italia) - which shows, imo, beautiful expression and respect for that note - and the rest of the piece. Thank you for bringing this great song to mind. That sustained note and divine example of messa di voce brings me almost to tears each time I hear it. *sigh* And, bringing it to mind in a wonderfully thought provoking way. How beautifully this is danced ! And how lovely they demonstrate dancing this long vocal glide. Mari... your long and wonderful "diary" has inspired me and many. Thanks for you open-heart sharing. Mari... your long and wonderful "diary" has inspired me and many. Thanks for your open-heart sharing. Wow! I am so flattered. I agree that that song poses special challenges for dancers. There's something almost operatic about it. I love that moment when Podesta's voice goes soaring. Here's a survey titled "Why I left tango." Hundreds of people responded. The most common reason is: "Too exclusionary/cliquish"
Do established members of the community have a responsibility to be more welcoming to more peripheral ones?